I was looking around on craigslist today and I found that image. I laughed out loud. 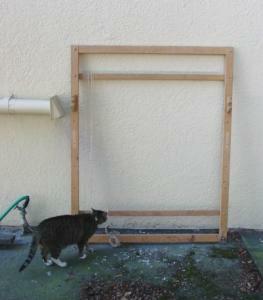 The picture is supposed to illustrate the loom that someone in Seattle is (or was) giving away for free. I hadn’t expected to see the cat, but I think it’s integral to the picture.